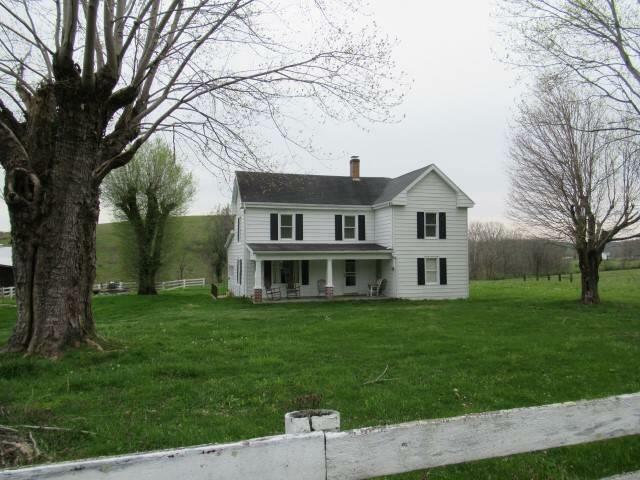 183 acres of rolling hills in Madison county just 40 minutes from Lexington and 5.5 miles off I-75 at the Richmond exit. Current and best use is for a cattle operation however there are some of the best panoramic views from the hill tops I have ever seen. There is a older 100 plus year old home with 4 bedrooms and 1 bath that has had several updates over the years like roof, HVAC, kitchen cabinetry, and water heater. There are 3 big tobacco barns for utility storage, a detached garage, and a hay barn. The property is nearly all pasture with a very small area of woods.